The Belmont Doctoral Physical Therapy Class of 2020 was given an opportunity to learn first-hand about legislation and its effect on health care. 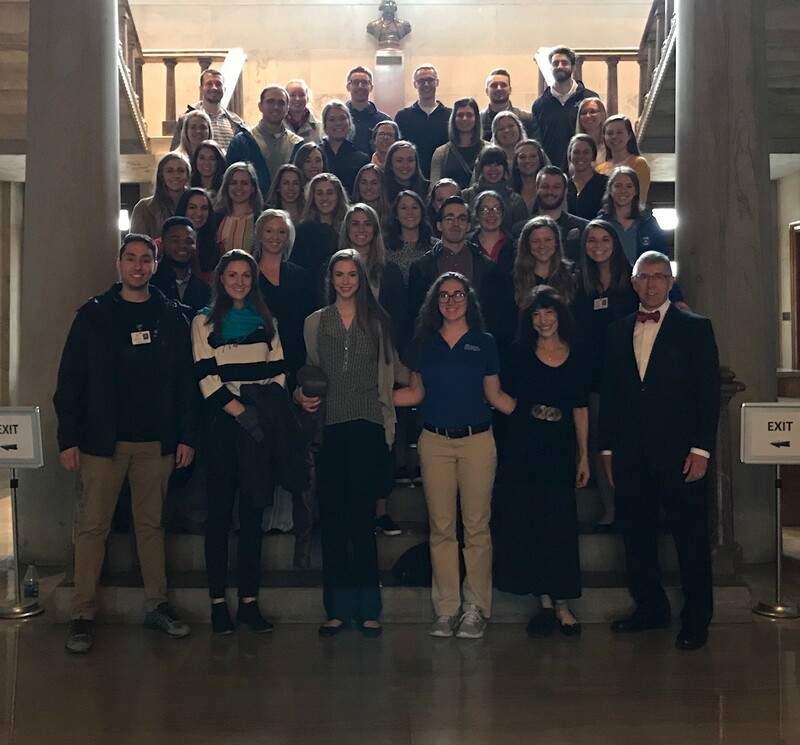 On Friday, March 8, Dr. Natalie Michaels, professor in the College of Health Sciences, brought her Health Care Systems Class to meet Dr. Joe Black, the legislative committee co-chair for the Tennessee Physical Therapy Association (TPTA). He introduced the class to Lobbyists Lou Alsobrooks and Estie Harris who spoke about their work with Congress and the Senate to support the physical therapy profession. Black also spoke to the students at length about physical therapy, the importance of staying involved and his role with the TPTA. He then led the group on a tour of the grounds. “The students were engaged and extremely professional. I’m humbled and proud to be able to be part of the prestigious faculty-team who teach these amazing men and women,” Michaels said.